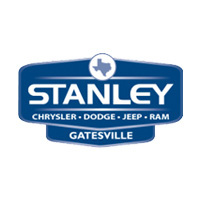 If you’re looking to take on the streets of Gatesville in a new Chrysler, Dodge, Jeep, Ram, be sure to rely on the current Chrysler, Dodge, Jeep, Ram special offers available at Stanley Chrysler Dodge Jeep Ram Gatesville. When you work with our friendly sales staff and knowledgeable finance department, you can count on us to find the right model for you at a price that won’t break your budget. Ready to simplify the car-buying process? Then it’s time to head to Stanley Chrysler Dodge Jeep Ram Gatesville to take advantage of our various Chrysler, Dodge, Jeep, Ram deals. Once you take a look at our available discounted Chrysler, Dodge, Jeep, Ram in Gatesville, be sure to pay us a visit whenever you’re ready to take your favorite model for a spin. If you have any questions along the way, feel free to contact us to learn more about our current specials or new vehicle inventory! In the meantime, keep an eye out for the offers on the Jeep Patriot or Dodge Challenger.